Donut Shop: Donuts & Coffee are so obsessed with donuts that they can’t help but mention them twice before you’ve even stepped in the door. 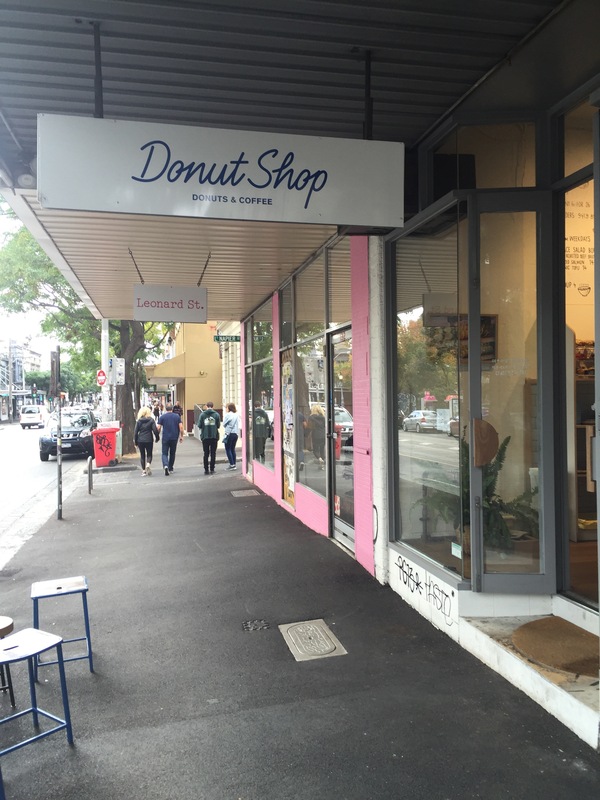 With all the donut shops in the CBD it makes sense that Fitzroy has it own haven for the lovers of sweet round treat! 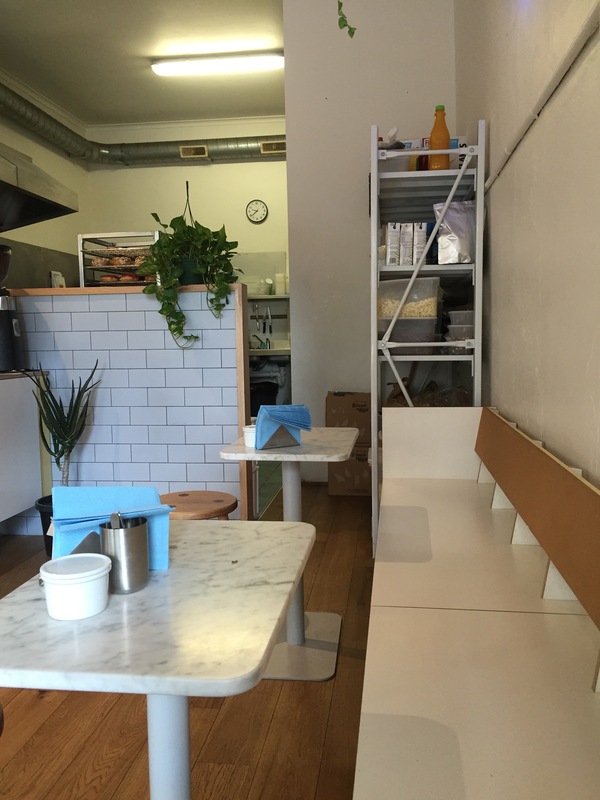 Donut Shop operate out of a small but comfortable cafe on Gertrude street. 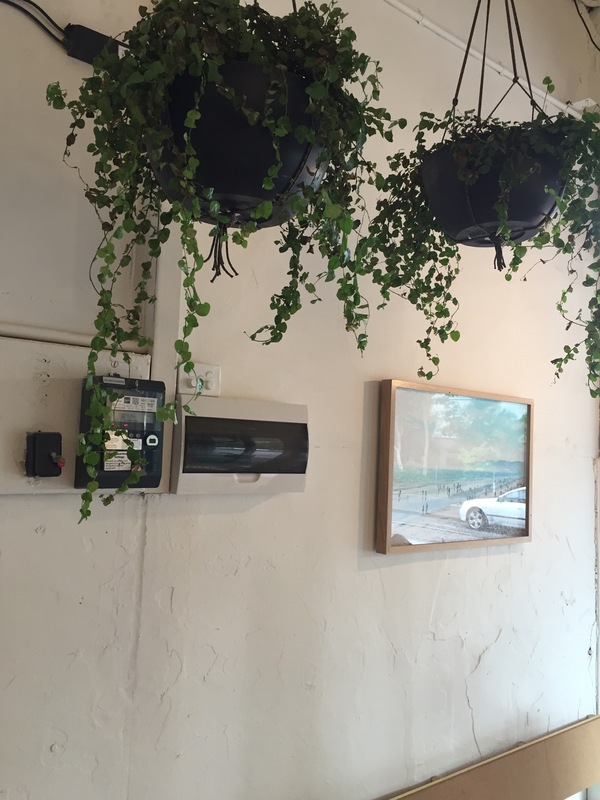 It’s minimal and simple in its aesthetic, right down to the hand painted menu on the wall. The service is quick and easy, grab a coffee and pick a donut from the display, or in our case, multiple donuts! We started with the classic, a Long John. 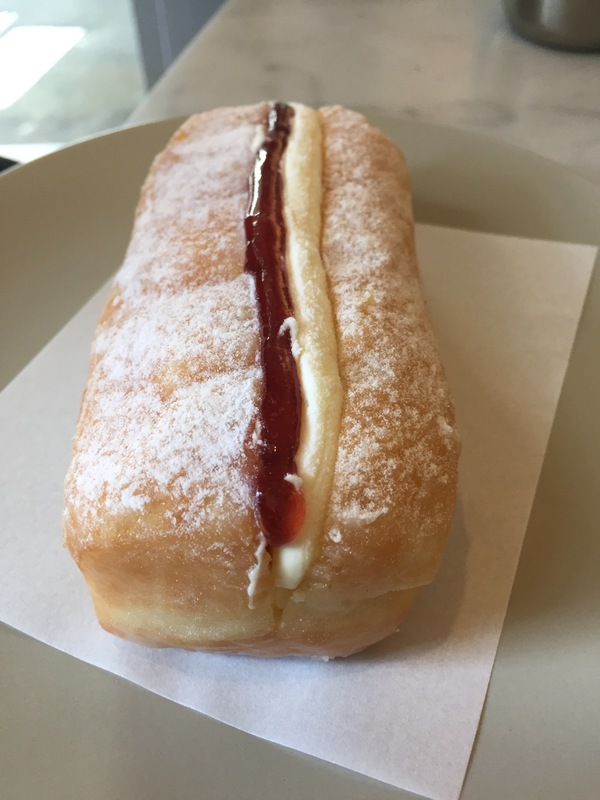 It’s hard to resist the fresh and light donut, with its intense jammy hit and the indulgence of cream. If you like pina colada…. Next up was the Pina Colada Creme Brûlée. It really did have that wonderful crunch as you bit down, and a light coconut and pineapple filling. 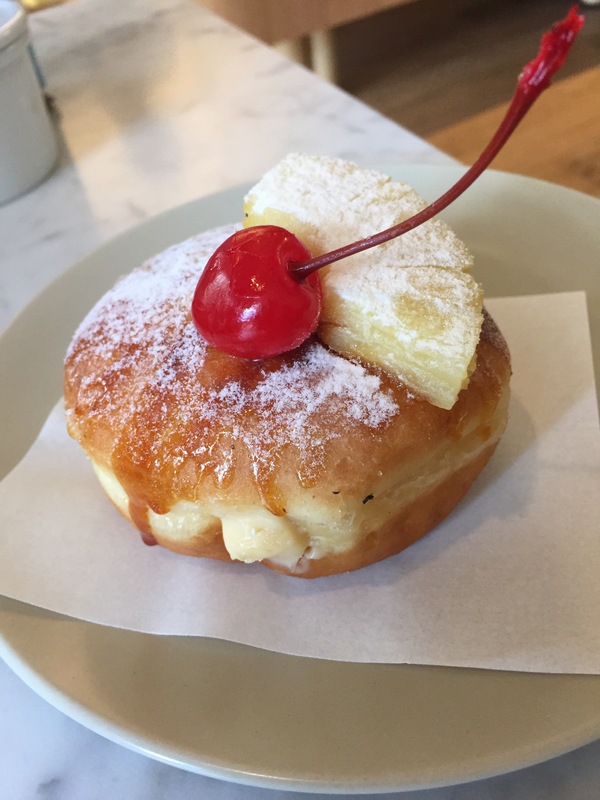 We’re all about donuts that taste like our favorite cocktails, so this one was a definite winner! 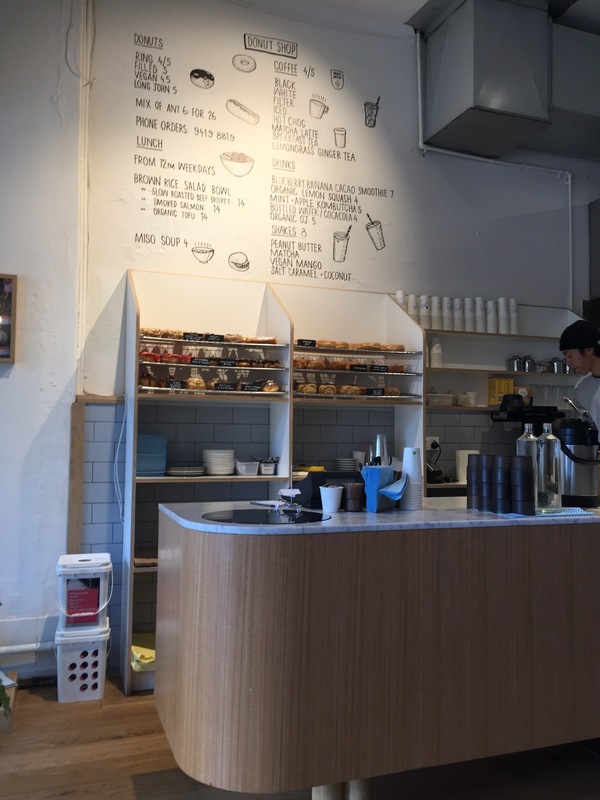 Donut Shop: Donuts and Coffee are must visits for anyone who wants to be a donut aficionado, or is just craving a sweet treat!